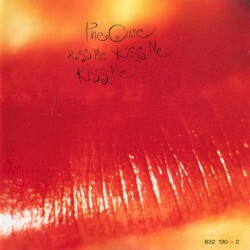 Kiss Me, Kiss Me, Kiss Me is the seventh studio album by British alternative rock band The Cure, released in May 1987. The album helped put The Cure into the American mainstream, becoming their first album to reach the Billboard Top 40 (achieving Platinum certification). It was also a big international success, as was its predecessor, The Head on the Door, reaching the Top 10 in numerous countries. 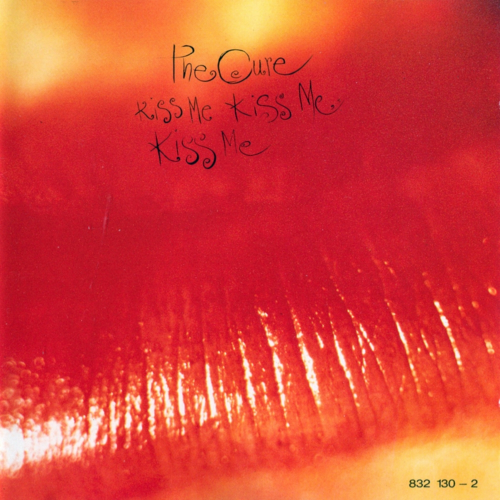 Originally released in 1987, Kiss Me Kiss Me Kiss Me saw The Cure at perhaps their highest point in the public consciousness. The previous year's singles compilation Standing On A Beach had done considerably well for a band many may have considered as a bit of a marginal concern for the misunderstood set, it turned Robert Smith into a Smash Hits pin-up and enabled the band to go forth and unleash a double album. One of only two listenable double albums in 1987 – the other being Prince's seismic Sign O' The Times – it cemented Robert Smith and chums' position. It also led them into the world of arenas and stadiums- a world they comfortably inhabit even now, some 21 years on. Indeed, anyone who saw their Wembley show, had a Value For Money-tastic three and half hours. The band were writing at a huge rate: over 40 songs were initially recorded, with each band member giving them marks out of 20 to see which final 18 would make the cut. Not only does Kiss Me Kiss Me Kiss Me offer Cure fans a taste of everything – wonky funk on Hot Hot Hot!! !, prog wiggery on The Kiss and sheer elegance on If Only Tonight We Could Sleep, weedy violin-led ballads such as the delectable Catch – it also contains one of the greatest singles recorded in the form of the majestic Just Like Heaven. Now available in an expanded form with bonus tracks and rarities – the original CD omitted a track due to the 80s inability to fit it all on one disc – Kiss Me Kiss Me Kiss Me is not only an anomaly - a double album you can play all the way through? Even the Beatles were incapable of that – it's also the perfect explain-them-to-Martians Cure album. A true delight.